A San Francisco lawsuit against Monsanto and its weedkiller, Roundup, is moving forward. And it's just received a new green light from the judge in the case. Monsanto's lawyers are bracing for a deep level of attack, which they were hoping to avoid. The judge has ruled the jury can hear testimony on this issue: Monsanto suppressed evidence that Roundup causes cancer. "At the age of 46, DeWayne Johnson is not ready to die. But with cancer spread through most of his body, doctors say he probably has just months to live. Now Johnson, a husband and father of three in California, hopes to survive long enough to make Monsanto take the blame for his fate. "On 18 June, Johnson will become the first person to take the global seed and chemical company to trial on allegations that it has spent decades hiding the cancer-causing dangers of its popular Roundup herbicide products -- and his case has just received a major boost. "Last week Judge Curtis Karnow issued an order clearing the way for jurors to consider not just scientific evidence related to what caused Johnson's cancer, but allegations that Monsanto suppressed evidence of the risks of its weed killing products. Karnow ruled that the trial will proceed and a jury would be allowed to consider possible punitive damages. "Johnson's case, filed in San Francisco county superior court in California, is at the forefront of a legal fight against Monsanto. Some 4,000 plaintiffs have sued Monsanto alleging exposure to Roundup caused them, or their loved ones, to develop non-Hodgkin lymphoma (NHL). Another case is scheduled for trial in October, in Monsanto's home town of St Louis, Missouri. "How the Johnson lawsuit plays out could be a bellwether for how other plaintiffs proceed. If Johnson prevails, there could be many more years of costly litigation and hefty damage claims. If Monsanto successfully turns back the challenge, it could derail other cases and lift pressure on the firm. "According to the court record, Johnson had a job as a groundskeeper for the Benicia unified school district where he applied numerous treatments of Monsanto's herbicides to school properties from 2012 until at least late 2015. He was healthy and active before he got the cancer diagnosis in August 2014. In a January deposition, Johnson's treating physician testified that more than 80% of his body was covered by lesions, and that he probably had but a few months to live." 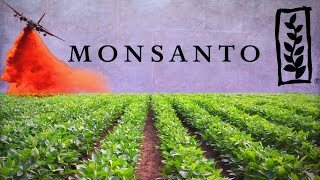 How will Monsanto proceed? First, they'll argue that Johnson's cancer could have been caused by other factors. They'll throw the kitchen sink at the jury. It could have been genetics. It could have been lifestyle. It could have been causes that are still unknown to researchers. It could have been starlight from a galaxy far, far away. Monsanto's lawyers will try to bury the jury in reams of supposition. Second, they'll show the jury an EPA (Environmental Protection Agency) finding that Roundup does not cause cancer. Like the FDA, the EPA has sided with major corporations in efforts to protect them. Monsanto will claim: "The federal government has asserted Roundup is safe, and that's the end of our responsibility. The federal government is the final arbiter." Which is to say: the truth isn't the final arbiter. Third, Monsanto will execute a series of acrobatic moves to prove they never suppressed evidence that Roundup causes cancer. They were simply "considering all relevant safety issues." They were "posing various scenarios." Their internal memos were "temporary work product" on the way to making a final judgment about Roundup's safety. They were raising valid concerns about flawed studies that claimed Roundup was dangerous. If all else fails, Monsanto might try to settle with Johnson -- and then claim the $$ payout was simply a way to show compassion for his unfortunate condition -- and move on -- continuing to offer the public a fine and safe product (Roundup). No guilt admitted. In the extreme -- and I need to raise this question -- might Monsanto, behind the scenes, secretly and illegally offer Johnson's lawyer and his client a very large sum to present a weak case in court and let Monsanto win the case? If Monsanto has intentionally hidden the dire effects of Roundup for decades, while people have gotten sick and died, what wouldn't they do? "In 2001, 3,600 inhabitants of the city of Anniston, Alabama, attacked Monsanto for PCB [a chlorine chemical] contamination. According to a report, declassified by the U.S. Agency of Environmental Protection (EPA), Monsanto for almost forty years dumped thousands of tons of contaminated waste in a stream and an open garbage dump in the heart of a black neighborhood in the city. "The way The Washington Post reported the story is instructive: 'Monsanto documents -- many emblazoned with warnings such as 'CONFIDENTIAL: Read and Destroy' -- show that for decades, the corporate giant concealed what it did and what it knew. In 1966, Monsanto managers discovered that fish submerged in that creek turned belly-up within 10 seconds, spurting blood and shedding skin as if dunked into boiling water. They told no one. "Monsanto was finally convicted in 2002 of having polluted 'the territory of Anniston and the blood of its people with the PCB.' The firm was ordered to pay $700 million in damages and to guarantee the cleaning-up of the city. No legal action was brought against the company officials."